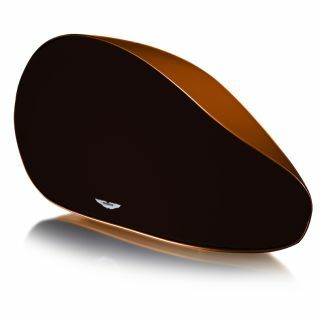 Aston Martin Zygote is a £2500 wireless speaker | What Hi-Fi? The Zygote has been made in collaboration between Norwegian-based Audiomoda and British car maker Aston Martin to deliver 240 watts of audio power in a stylish body. We're more used to car audio referring to in-car systems but now Aston Martin is aiming to bring some of its auto knowhow straight to the audio market with the new Zygote wireless speaker. The two-foot wide speaker, which loosely resembles a car wing mirror, aims to deliver an “unparalleled and extremely powerful sound performance”. There are analogue and digital connections - USB, RCA and digital coaxial - as well as Apple AirPlay, DLNA and wi-fi direct. A compatible control app for Android and iOS devices affords you basic control and access to some audio settings. The speaker features Class D amplifiers that kick out 240 watts, alongside Audiomoda’s DSP platform, which claims to adjust audio settings according to your room. The Zygote will come in three 'official Aston Martin colours': morning frost white, Madagascar orange and onyx black. All that audio technology and styling doesn’t come cheap though - the Aston Martin Zygote will set you back £2500. Find out more on the Audiomoda website.